After gaining a degree in Mathematics at Imperial College London, Gamal completed his formal musical education at the Royal College of Music, where he studied with Niel Immelman, Simon Lepper, Ashley Wass and Andrew Ball. He first performed at the Wigmore Hall at the age of ten, and has since appeared at the Queen Elizabeth Hall, Purcell Room, Cadogan Hall, Sage Gateshead, Oxford Lieder Festival, Buxton Festival and Chipping Campden Festival, among many others. He has participated in festivals in Canada, Denmark, France, Greece, Italy, The Netherlands, Sweden, Switzerland and the USA, and has been lucky to work with musicians including Mitsuko Uchida, Richard Goode, Paul Badura-Skoda, Leon Fleisher and Robert Levin, among many others. Gamal has won major prizes at the Norah Sande, ESO Young Soloist and Christopher Duke piano competitions, as well the Award for Accompanists at the 2017 ROSL competition and the Help Musicians UK Accompanist’s Prize at the 2017 Ferrier Awards. He has performed concertos by Mozart, Beethoven, Grieg, Fauré, Saint-Saëns, Rachmaninoff, Stravinsky and Finzi, with the University of London Symphony Orchestra, the Richmond Orchestra, Guildford Symphony Orchestra, and many other UK orchestras. Gamal has given world premieres of works by Timothy Salter, Andrew Toovey, Eleanor Alberga, Howard Skempton, Shiva Feshareki and Charlotte Harding, and has also worked with Thomas Adès and Mark-Anthony Turnage on their solo piano compositions. His playing has also been broacast several times on BBC Radio 3, BBC Radio 4 and Dutch radio, as well as Danish and Arabic television. 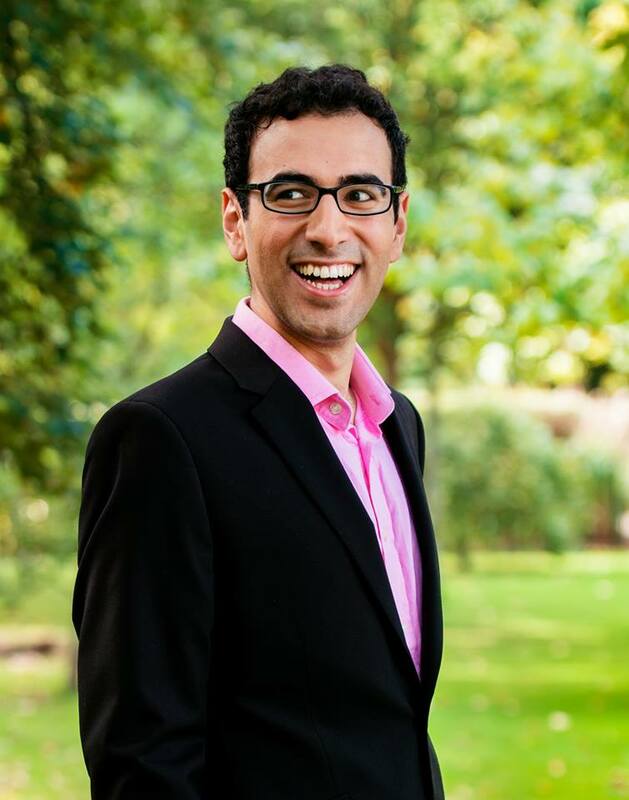 Gamal has been a Concordia Foundation Artist since 2010, a Park Lane Group Artist since 2013, and is a member of the Lipatti Piano Quartet who won the Elias Fawcett Trust Award at the 2016 ROSL Music Competition, and recently made their Wigmore Hall debut. He also performs regularly with Sinfonia Cymru. Gamal would like to thank The Carne Trust, Help Musicians UK, Else & Leonard Cross Charitable Trust, Kathleen Trust, Nicholas Boas Charitable Trust, and The Tillett Trust for their generous support.